The TOUGHCable CARRIER is designed to provide optimal performance on Gigabit Ethernet networks. The level 2 Ubiquiti Networks 100' TOUGHCableCARRIER Outdoor Shielded Ethernet Cable is a Category 5e cable that features an integrated ESD drain wire, anti-crosstalk divider, and secondary shielding. It is rated to provide optimal performance on Gigabit Ethernet networks. TOUGHCable has been built to perform in even the harshest weather and environments. 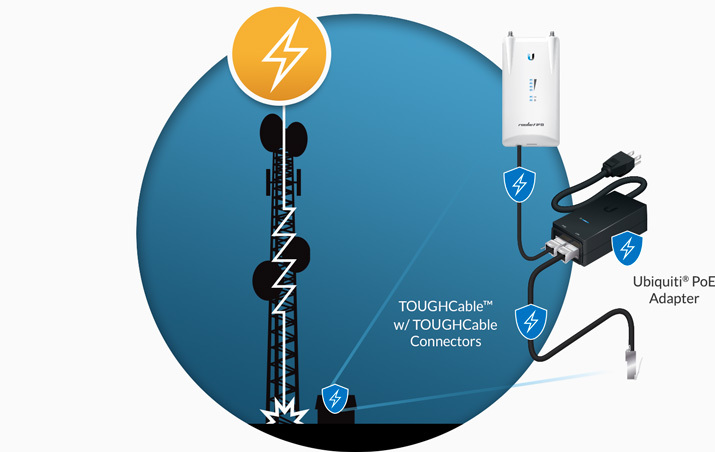 TOUGHCable protects your networks from devastating electrostatic discharge attacks.